I’d like to think I have one cycling talent: the ability to find quiet, interesting roads. But not every ride can be a favourite. Passo Foscagno is beautiful, high, long, etc. But it has a bit too much traffic for me to recommend it with much enthusiasm. It’s a big road, clearly designed to get motor vehicles up and over the mountains. 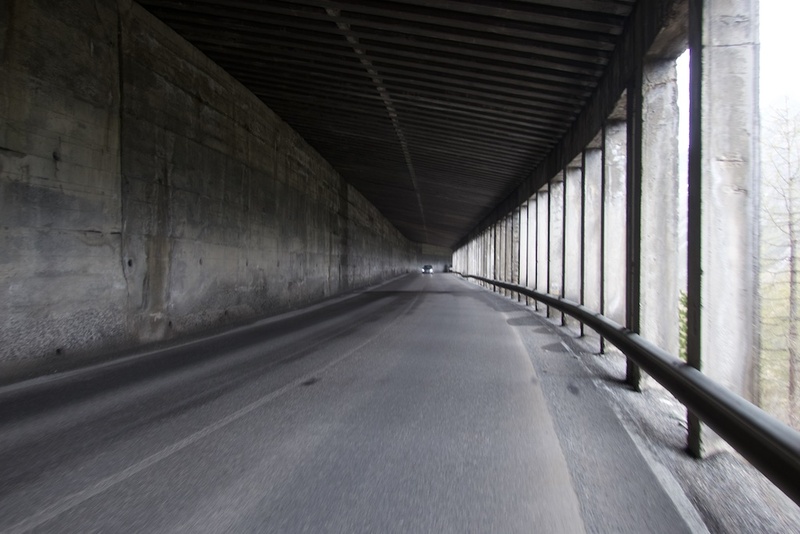 Things never felt dangerous, but, in addition to cars, I was probably passed by 30 or 40 trucks. Oh, and avalanche tunnels near the top. From Bormio, follow the road in the direction to Passo dello Stelvio, and immediately after the first Stelvio hairpin (signed as #40), turn left. 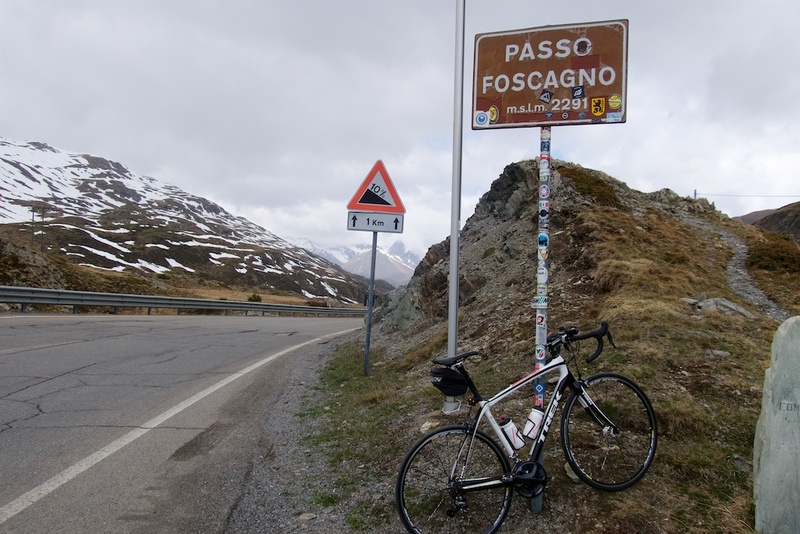 There is a Passo Foscagno open/closed sign almost immediately. Early on, the route passes the beginning of the fabulous hairpin-filled climb to Torri di Fraele – highly recommended. Strangely, I forgot to check the weather. In my mind, it would be a perfect day. But it started very lightly raining as I approached the pass and the sky was very threatening ahead. The weather was probably ultimately more-than-fine, and I hate quitting on a ride, but no harm done. I still enjoyed myself. A beautiful climb with just a touch too much traffic for my taste. This pass was memorable for all the wrong reasons in 2009. We were over in the Tour Transalp (Naturns – Livigno stage). It started sunny but we could see the clouds gathering as we came over the top of the Stelvio and a huge thunderstorm hit us as we got to the top of the Passo del Foscagno. The lightning was landing all around us on the descent of the Passo d’Eira and there was a good inch of water on the road. The Livigno fire brigade was wrapping participants in emergency blankets as they crossed the line. 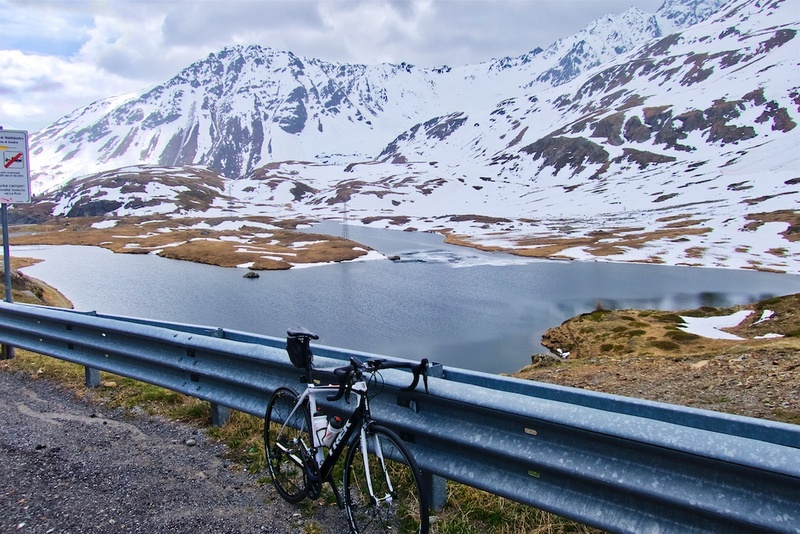 Next day we looped back over the Eira and Foscagno and on to the Gavia in much better weather. These are dramatic passes, but be ready for plenty of weather. I have rarely been so scared in many years of riding cols, but brownie points to Jörg Ludewig who spent the afternoon driving soaked participants back to their hotels. Wow. Scary stuff. Yes, so many storms this summer in the high Alps. One needs to be very careful.